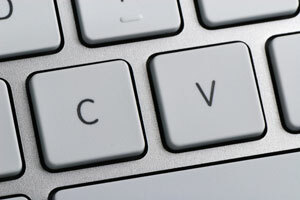 ​The CV is a personal ‘selling’ document. It is usually the first piece of information a prospective employer will see about you and it is important that it shows you off to best advantage AND that it is geared to meeting the employer’s needs. Too frequently CVs focus on the job seeker’s requirements. For example including in the Profile or covering letter “I am looking for a new role in which I can use my … skills”. The problem with this is that it focuses on your needs and not the employer’s. Your CV should contain enough relevant, persuasive information to cause a prospective employer to invite you to interview. To do this effectively it is important that your CV is tailored to show how you will meet the employer’s specific needs with this particular role. This means that you should tailor your CV for each job you apply for. This is best done by thinking with the employer’s “hat” on and attempting to see things from their perspective. • Can you do the job? • Will you fit in here? • If offered the job, will you stay and perform well? A good, effective CV will satisfy the first question and provide a suitable indication of the second two questions. It will do this sufficiently to win you an interview. The interview then provides you with the opportunity to demonstrate and confirm that you fully satisfy all three questions. The purpose of the CV is to get an interview – not a job. It therefore needs to be sufficiently relevant and attractive to grab the reader’s attention and request a meeting. A CV is not a brief career biography or a record of everything you have ever done. Automated Screening Tools: many recruitment companies, web-based job boards and some large employers use automated screening tools typically picking up ‘key words’ in the CV document. Whilst this is often limiting it is worth ensuring that obvious key words are included within your CV relating to the position for which you are applying. Manual Screening: employers and recruitment consultancies using this method of sifting through CVs are prone to tiredness and boredom when faced with a large number of CVs (and frequently a short time in which to do it). Whilst initial CVs may be well screened, this process becomes less efficient as the process continues. It is very important that the key information needed to grab attention is easy for the reader to see. Ideally this will be contained within the top half of the first page. Format and content are therefore very important. • Your CV should be brief and concise – ideally 2 pages and no more than 3. • The CV should be clear, use space well and be visually pleasing. An effective CV has high ‘readability’ ie., sentences which are easy to follow with a clear structure and flow to the overall document. • Tightly packed text is difficult to read and scan, and does not enable the reader to grasp the message quickly and react positively. Effective CVs tend to keep text blocks to less than 6 lines, use margins and white space effectively, and make use of bullet points (note that bulleted lists containing less than 7 bullets are most effective). At all times focus on effective layout which both maximises the space available and doesn’t look cluttered. • Always page number your CV and include your name in the footer area (in a smaller font size, eg., 9) to ensure that pages are not lost or placed in the wrong order. • Don’t use a font size of less than 10 points within the main text – again this reduces ease of reading. If you are submitting your CV in hard copy be sure to print it on one side of the paper only. This facilitates photocopying and faxing. • Ensure section headings stand out – use bold text, underlining and/or a different typeface for headings (remember though to be consistent with their use throughout the document. A mish-mash of typefaces and font sizes through the document is hard to read and not visually pleasing). Use a ‘standard’ business typeface (e.g. Arial, Times Roman, etc) and avoid ‘flowery’ scripts and colours. • Avoid text blocks in capital letters. WHILST THE USE OF CAPITAL LETTERS DOES MAKE TEXT STAND OUT IT IS LESS EASY TO READ. Generally, a chronological CV is preferable to a skills based one. It is easier to read and makes relevant information more accessible. Be sure to account for any gaps in employment or education. See the Additional Resources page for an example CV formats. Where you are seeking a career change, a skills based CV may be more effective; your coach will discuss this with you. You may encounter conflicting advice on the use of the pronoun “I” in your CV. Ultimately this will be a decision for you but at this time we would generally recommend limited use of the pronoun “I” (“I am an experienced…”) rather than use of the third person (“John is an experienced…”). Unless specifically asked to do so, do not include a photograph. Ensure that your CV is grammatically accurate and that it does not contain spelling mistakes. Ensure that you run a spell checker over the document and, for UK based jobs, ensure that you are using UK English (not US English). Your CV needs to make an immediate, positive impact on the reader. It should provide a clear and authentic outline of who you are and your particular selling points. If you have carried out the activities in the assessments you will already have most of the content defined. Bear in mind that initial impressions are formed by recruitment consultants and employers in less than 5 seconds. Remember that the purpose is to get an interview; highly detailed information regarding projects, study, etc., is best left for the interview. Be rigorous about what you leave in and what you leave out – ensure everything is strictly relevant to the role being applied for. Your CV should begin with brief contact information: your name, town/county of your address (but preferably not your full address**), telephone number(s) and email address. The use of social/networking media is increasingly recognised in job hunting. Use of an online networking facility such as LinkedIn (http://www.linkedin.com) can be valuable in keeping your contacts network working for you. Once registered it can then be helpful to add your LinkedIn address to your contacts details (for example, http://linkedin.com/in/yourname). ** You are advised not to put your full address on your CV or your landline telephone number. Additionally, you do not need to put your date of birth on your CV and we would recommend that you omit this on CVs which will be uploaded onto any web-based job sites due to the real risk of identity theft. See this article about protecting yourself from identity theft. A brief profile should follow. This is a very important part of the CV and a key selling point. The statement should clearly describe who you are and what you do. A concise, well written summary should leap out at the reader and motivate them to read on. As before, your work in the assessment activities will provide you with this material. If you have completed the earlier assessment stages, and noted your key achievements, you will be well prepared to write this section in a compelling fashion. You should be clear about your selling points and the needs of the role being applied for. Many CVs contain just a list of responsibilities in this section. This is a wasted opportunity as it doesn’t give any indication as to the standard with which they were carried out, the value you added to the company, or provide an opportunity to sell yourself. While you should always briefly state what your responsibilities have been and state their scope and size, your emphasis should be on stating your achievements. Follow the FAB (Features, Advantages, Benefits) formula for your achievement bullet points, eg., (F) Introduced a new business process that (A) reduced order processing time from 3 to 2 days, (B) achieving better customer service with a 10% financial saving. You should always start with your current role and work backwards. Focus on roles carried out within the last ten or so years. Roles carried out earlier than this should be included but with brief information. As above, this should begin with your most recent qualifications or courses and work backwards. Where you are looking to make a selling point of a particularly impressive/relevant qualification, and especially if you are new to the job market, you may prefer to move this section to follow your Profile. This should be brief and is intended to give the reader an indication of your interests. Remember that your CV is a business document and resist the temptation to expand at length on your family, pets, hobbies, etc. Do not include salaries, publication lists or details of training courses attended, place of birth, exams you have failed. The former may be put into a separate document and provided if requested or particularly relevant. Your CV should always be factual and truthful. Whilst it is acceptable to omit negatives, it is not acceptable to embroider or fabricate the truth. When you have completed your CV ask a friend or colleague (preferably with a similar work background) to speed read your CV. Does it reflect the accurate, positive picture you are trying to portray in 2 minutes? Does it present you, at your best? If it doesn’t, amend it further. Once you have a CV you are happy with, keep it up-to-date with each new achievement, added responsibility, promotion, etc.